If you have visited Pattaya recently you will notice that there are many Chinese tour groups being bussed around. Also, you cannot go to Walking Street without seeing these groups. They have even started touring Soi 6. This activity also extends to night life. Business owners in Pattaya have courted the Chinese demographic and this is also true of all kinds of massage venues. 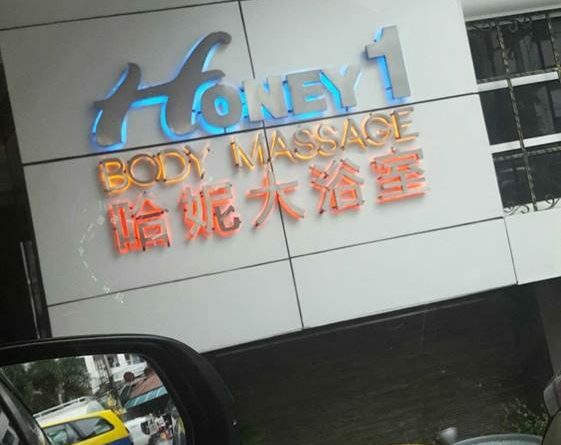 The famous sites such as Honey Massage, Sabai Room etc have for a long time provided multi-language menus for their foreign customers. Most recent reports have said that much of the customer base at the massage parlours is now arriving by tour bus. This means that there is a large influx of customers at some times, and that means that you might be arrive only to find a place is swarmed with tourists. Obviously this is not ideal from the point of view of selection. In addition, to tourists from China, many massage venues are now welcoming those from the subcontinent. In particular the Second Road massage shops are reported to cater for a large number of visitors from the subcontinent. Does this mean that the massage scene in Pattaya is now catering exclusively to these groups? No. As always, your money is welcome wherever you might go no matter what nationality you are. It does mean that the experience of visiting a massage parlour might not be the same as it has been in the past. However the advantage of Pattaya is that, in addition to traditional soapy style massage there are other options available to suit your needs. Obviously, if a one stop shop for an inhouse experience is what you need then Soi 6 is a good option. Tour groups are always a harbinger of the end of a tourist town as anything other than a trap!